The NFL Playoffs kicked off today with a bang! The Panthers were home against the Cardinals and it was a sloppy rainy cold day in the North Carolina. The Cardinals were looking to steal one in NC. Arizona had no offense going for them on the first possession of the game, they went 3 and out and the Panthers went down the field and scored 3. Cardinals went 3 and out again and then the Panthers scored again but this time it was for 6. Jonathan Stewart ran it in for 13 yards as he broke a tackle and cut to the outside and scored. So as Arizona was punting, Carolina buffed the punt and Arizona recovered. They had the momentum going for them, and with that they scored off a 1 yard TD by Fells who caught the ball from Lindley. Both teams had no offense going for them in the second, then the Cardinals defense caught themselves a break when Antonio Comarti picked off Cam Newtons pass and ran it down to the Panthers 17 yard line. Then, Grice scored a 1 yard TD to take the lead 14-10. Right before the half, the Panthers put points on the board to cut the lead to one. Carolina drove down the field to start the half but ended up punting, Arizona went 3 and out and a horrible punt occurred and Carolina was in luck. 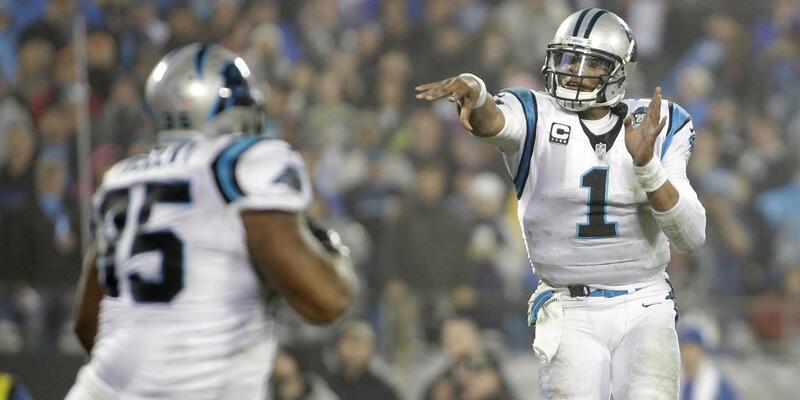 On the very next play, Cam Newton threw a screen pass to Whittaker who took it all the way to the house for 39 yards! On the receiving kickoff, Ted Gin JR fumbled the ball and the Panthers recovered! 3 plays and the Panthers went up 27-14 after a Mike Tolbert TD! The Cardinals just couldn't move the ball down the field for the rest of the game. The Panthers didn't need to as they had a comfortable two touchdown lead. To end the game, then Panthers punted in the end zone and it resulted in a safety. The Panthers win 27-16 and will advance to the second round to face the Seahawks or the Packers! I think Cam Newton played pretty good today and he made smart decisions while Ryan Lindley didn't play to bad but he had some bad passes and made mistakes that could've resulted into touchdowns. Overall, it was a good way to start off this years playoffs!